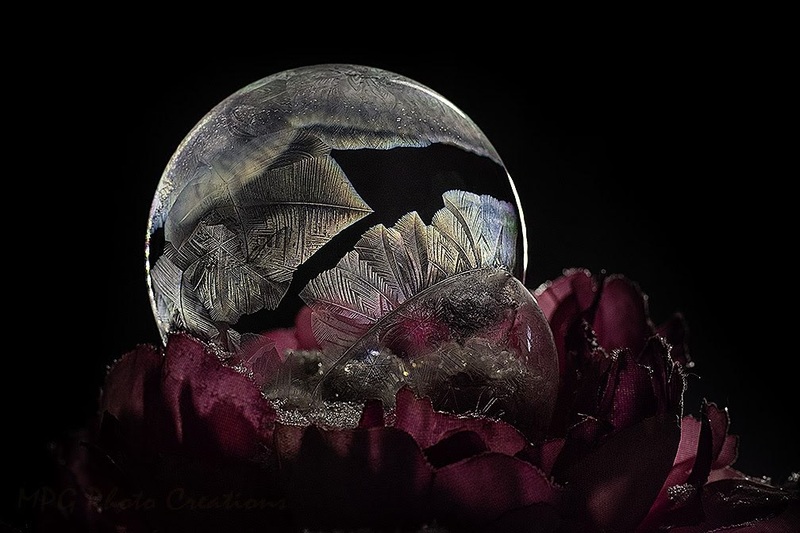 This is another in my frozen soap bubble series. They are lovely on their own but I wanted to be a little creative with it and have some added interest. This one turned out as kind of a double bubble but I loved the patterns in both. It was almost too windy in this second video. 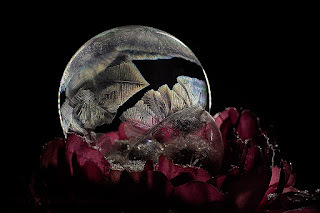 Wind of any kind will cause the bubble to pop before the crystals form.